KENYA REPRESENTED AT THE ONGOING 2016 WORLD BADMINTON JUNIOR CHAMPIONSHIPS IN BILBAO SPAIN. Embassy of the Republic of Kenya in Spain » KENYA REPRESENTED AT THE ONGOING 2016 WORLD BADMINTON JUNIOR CHAMPIONSHIPS IN BILBAO SPAIN. 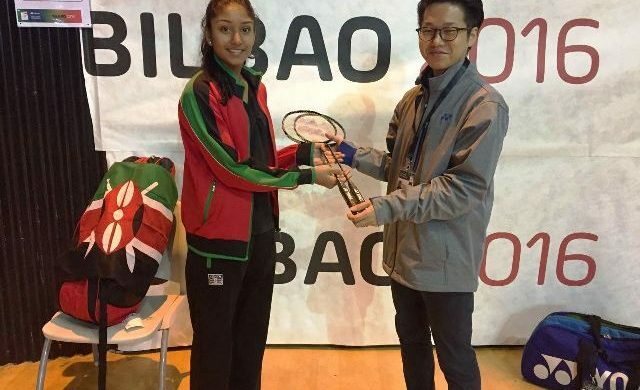 Shana Patel, rising badminton star represented Kenya at this year’s World Badminton Junior Championships in Bilbao Spain.